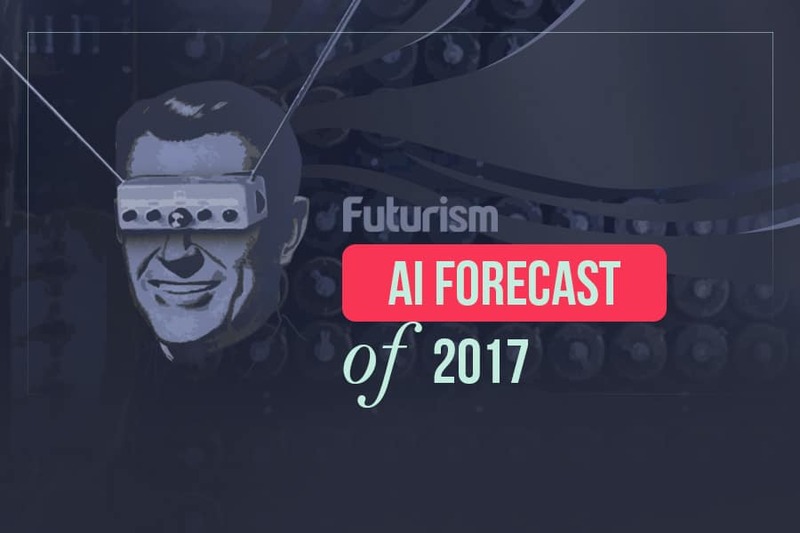 AI ranks highest in terms of influence in survey of business leaders. Although Bitcoin and cryptocurrencies are making headlines — such as Bitcoin prices soaring to over $2,000 and China testing a cryptocurrency for potential national implementation — they are not a major concern among these massive corporations. 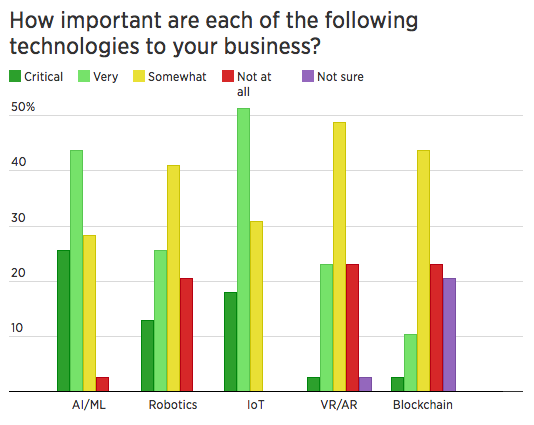 About 23 percent said that technology related to virtual currencies was “not at all important,” and only 3 percent said that it was critical. Blockchain did not rank highly on this year’s survey, but this may be because it is only having a fundamental effect in a small number of sectors — such as humanitarian aid and some aspects of the food industry — and because these statistics show the current world, not a forecast of the one to come.